Prenups for Partners is aimed at creatives, issue experts, funders, researchers, artists, and others who want to work together to make a difference in their communities and beyond. And, as anyone who’s been involved with social changemaking knows, that takes time and healthy relationships. Too often, we make assumptions about others’ beliefs and value systems…which can lead to misunderstandings down the road. Plus, when you talk about mission, you’re likely to learn fascinating things about each other that you can draw on along the way. That’s why we encourage you to think and communicate honestly with your allies about who you are, what you care about, and what has influenced your work so far. Think and communicate honestly with your allies about who you are, what you care about, and what has influenced your work so far. Who are you - what's your story?What brings you to this work?What are the highlights in your work?What story (film, play, comic book, or other creative work) comes to mind when you think about this project?Why was it important to you, and how, if at all, is it similar to what we’re working on together?What collaborative experiences have you had that are similar to what we’re working on?What did you learn from that project? What were you most proud of?What was your biggest contribution to the project?What was the most difficult part of it, and what would you have done differently? How will decisions be made?Who has or wants what kinds of power — such as money, editorial control, ability to set deadlines?What kinds of power do you think the other partner(s) have?Have you had to you manage power dynamics in the past, and if so, how?What kind of pressure will you be under?What’s at stake for you and your organization? Relationships come in all shapes and sizes! Customize your Prenup based on how much you want or need to be involved with your potential partner(s). › Are you considering a short-term project, even a one-night stand? Just pick and choose the issues and prompts that might come up! › Are you checking each other out with an eye to getting more deeply involved? Review the entire P4P and decide together what makes sense to dig into. › Or are you about to make a serious commitment — such as co-creating original content or complex strategies? If so: invest some quality time. In a perfect world, everyone would feel comfortable initiating a friendly, down-to-earth, get-to-know-you conversation with potential colleagues. If you’re ready for that, go for it. If you feel that power dynamics, cultural norms, or other circumstances require a more structured approach, read through this section and decide which themes will make the most sense as you become acquainted with your potential partner. Feel free to reframe, omit, and add to these questions; you can use the headers as guides, or customize the sub-questions. Once you have a good outline for your mission conversation, enter into these questions through active listening and an open heart. 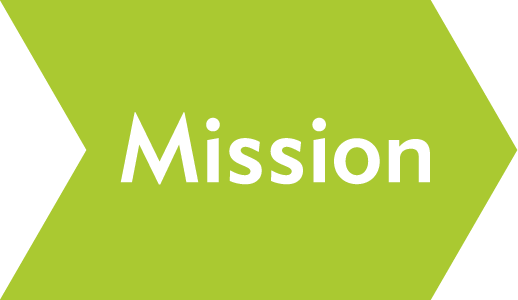 Creatives, change-makers, and funders should always begin with a conversation about MISSION. Whether you use the questions above or other lines of inquiry that you come up with yourselves, you should move forward into METHOD only after everyone involved feels like they’re reasonably in sync.